You are looking east across the Kenilworth Lagoon from the bike path on the railroad bridge. Several canoes can be seen in the water, including one that just passed under the bridge, probably coming from Cedar Lake. 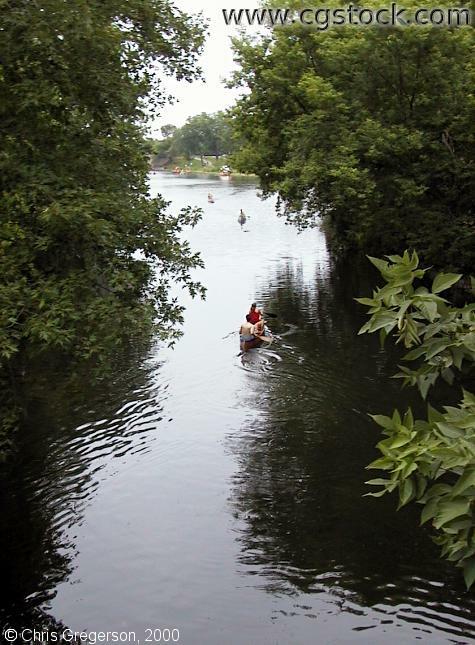 Canoes can be rented from the Park Board at the northeast corner of Lake Calhoun.